Plumbing Repairs | AllTech Services, Inc.
Nobody wants to deal with a plumbing emergency in their home. And hopefully, you will never have to. So long as you keep on top of plumbing maintenance on a routine basis, and repairs as needed, your plumbing system should serve you well now and for the years to come. 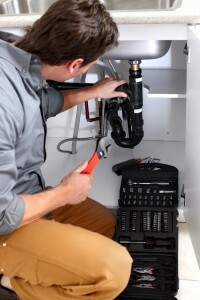 Should you find yourself needing professional plumbing repairs in your Sterling, VA home anyway, however, we are the team to call for prompt service. In the meantime, keep reading to learn more about how to prevent some of the most common plumbing emergencies we receive service calls for. One of the most common plumbing emergencies people deal with in their homes is leaking pipes. They also tend to be one of the most difficult problems to find, unless of course a burst pipe is leaking huge amounts of water or a clearly visible pipe is leaking. Unfortunately, this means that many homeowners are unaware that they need plumbing repairs until it’s too late and damage has already been done. The good news though, is that there are some signs you can watch out for that indicate a leak is present, so you can go ahead and call for professional plumbing services.